To put it another way, Darwin was someone that readers might even like to hang out with. Darwin’s story begins as an adventure jam-packed with bizarre animals and gigantic fossils, exploding volcanoes and violent earthquakes, and people who live differently from anything he’s ever imagined. But there’s so much more to his story than that. The book also explores one of the world’s greatest mysteries: What is the true history of life on earth, and why are living things constantly changing? I’ve tried to concoct a page-turner that invites readers to identify in the most immediate way with the guy who solves this mystery…and then offers them a leg up to figure out (both intuitively and scientifically) exactly how he cracks the code. The Words I originally set my research in motion by excerpting the juiciest and most relevant parts of Darwin’s enormous Beagle Diary, which was written during the journey he began at age 22. His daily entries are chock full of humor, entertaining stories, youthful exuberance, and even lyrical writing, so I was pretty sure folks would get a kick out of reading what he said in his own words. You can just hear his British accent. Soon I was adding quotes from stacks of his other books and letters too. I also play the role of narrator in the book so that I can make segues and explanations. 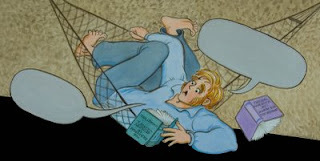 In his diary, Darwin tells jokes on himself about such things as the trouble he has climbing into his hammock or about being squirted by a cuttle-fish. (In my actual book, Darwin’s quotes fill those empty speech balloons above.) I think readers can identify better with a protagonist who’s not picture perfect or perfectly brilliant 100% of the time. 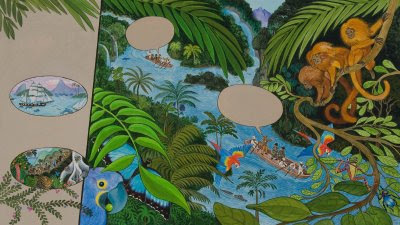 Can you find the Blue Morpho butterfly in the jungle scene below? Look hard. The Setup As you can see from the pictures above, I laid out this book as my own colorful version of a graphic novel. There was simply so much to tell that I needed to include lots of detailed pictures on each spread. And I made sure that every page was designed with an ulterior motive in mind; besides relating Darwin’s adventures and close calls, I always piled in plenty of clues to foreshadow Darwin’s later studies about evolution. Extras Among many other things, I added to my book all kinds of fun and interesting science stuff: Pictures showing what the fossil animals looked like and how big they were when they were alive; stories about the ways that European people changed the face of other continents—and how European plants and animals did likewise; very cool examples of 20 experiments and research projects Darwin thought up to help explore his theory; the reasons he kept his work secret for 20 long years, and the effect that his discoveries had on the public in 1859 and on the rest of the world until this very day. Making this book was a labor of love and is dedicated to my grandfather, the late Rabbi Jerome Mark. During the infamous Scopes Monkey Trial of 1925 in Dayton, Tennessee, he worked with defense lawyer Clarence Darrow as an expert consultant on the Old Testament of the Bible. He helped Darrow think of questions that would trap prosecution lawyer William Jennings Bryan into admitting that the Bible could not always be interpreted literally and that every living thing on earth could not have been created in 6 days just a few thousand years ago. Darrow’s interrogation of Bryan was front page news all over America and helped gain widespread support for Charles Darwin’s Theory of Evolution. If I can support that cause in even the smallest way by encouraging young people to explore Darwin’s work or by opening their eyes to the wonderful achievements that future scientists can make possible, I will be delighted. Many parents at elementary schools I visit ask me about how they can help their students thrive as authors. So I would like to share some advice I first published on my website. Every author and artist needs someone who loves them unconditionally. That may be your most important role. Celebrate your young author’s creativity and the act of putting pen to paper. Keep fun in the process and encourage experimentation and writing in daily life. In my humble opinion, it is best if someone else can be the critic for your child’s work. (This may not always be possible with home schooling, of course.) But only you know your relationship with your child. Just do not underestimate the weight of criticism that comes from someone who is both parent and family member. Most artists want to be loved through their work. Sometimes a parent just needs to say “hurray!” even if they don’t know what the picture is or what the story is trying to say. The point is to encourage the next artistic leap. Always celebrate each step in the process. A crummy first draft is still a big leap from blank page to writing. A weak second draft is still a start. Post and frame writing the same way you do pictures. How do you encourage your young author to push farther? Give them models—great writing. Surround them with words. Let them start to see and understand quality by becoming a good reader. Encourage writing community. Take your child to young author conferences. Help your librarian/school bring in authors. Ask an aunt, grandparent, or family friend to exchange real letters with your child. Quality is quantity when it comes to learning writing. Don’t obsess over having your child make every piece perfect. Some writers learn by polishing one piece forever. Some writers learn by moving on to another piece and discarding previous pieces until they have a flow of language. The most important thing is to move forward with writing. The more you write, the better you become at writing. It’s a skill you build by doing, doing, doing. Give your child great books, blank books, and office supplies for every possible occasion. Respect your young author’s privacy. The page has a sanctity. Make it a home policy for you and other family members to respect each other’s letters, diaries, emails, and so on. Ask permission before reading someone else’s work. Some young artists/authors are painfully shy, intensely private, or introverted. Having the safety to know that they can let go in their writing is very important. Offer your child opportunities to share and present writing. Give it the star status of football! Thank you for all you do to encourage writing in your family and for other families, as well. Children’s science magazines have evolved into well-designed, beautifully illustrated journals meant to entertain as well as inform. Animal-loving kids, especially, can revel in the options available. The National Wildlife Foundation’s venerable RANGER RICK has been around since 1967. 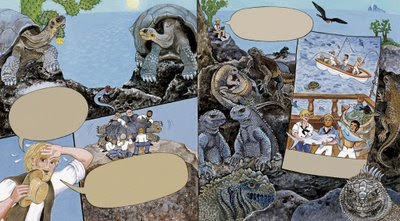 Ranger Rick (a raccoon) and his groups of animal pals have ongoing adventures in a comic strip. Photo essays highlight various animals, all with word and number puzzles and games, meant for ages 7 and up. YOUR BIG BACKYARD, NWF’s magazine written for ages 3-6, offers a similar format. Their third offering, WILD ANIMAL BABY, is printed on heavier stock in a smaller size and perfect for the 6 months-4 set. The NWF.org website offers free monthly e-newsletters that feature activities, crafts, and special offers. COUSTEAU KIDS focuses mostly on the ocean – the critters that live there, people who study them, as well as environmental issues and how children’s groups are working to solve them. Teacher’s guides are available from the website: www.cousteaukids.org. Carus Publications offers science magazines that go beyond animals. ASK (grades 2-4) and DIG (grade 4 and up) tend to focus on science with an archaeological or historical slant. CLICK (grades 1-2) and MUSE (grade 4 and up) venture forth into geography, physiology, technology, weather, and culture. Their website, http://www.cobblestonepub.com, has a “For Kids” section which offers interactive activities tied to each issue of the magazines. National Geographic’s website is the most elaborate. Video, audio, games, contests, and more relate to the various magazines they publish. A group of classroom magazines: YOUNG EXPLORER (grades K-1), EXPLORER (grades 2-4), and EXTREME EXPLORER, like the granddaddy National Geographic, encompass nature, culture, and history, as does the home subscription magazine, NATIONAL GEOGRAPHIC LITTLE KIDS, for preschoolers. NATIONAL GEOGRAPHIC KIDS is the only magazine of all I reviewed that features ads – many pages of ads, mostly for video games. The ads are not limited to front or back sections, but are inserted throughout the issue, often with the same rather cluttered design as the stories. I would wager that kids might not be able to tell the difference between ads and articles. I was surprised and dismayed to see this departure from the other magazines. As I suggested last month, magazines are a great market for nonfiction children’s authors to explore, since the issues keep rolling out month after month. And magazines are such a treat for kids. I remember the thrill of getting something in the mail, with my name on it. A book generally offers a single story, but a magazine is a party bag of surprises – and a regularly scheduled treat. Are there more nature and science magazines I’ve missed? Do tell. Since INK is establishing a nice archive of book reviews, I’d like to keep up to date with other print media as well – magazines and websites, and perhaps even DVDs. What do you think? Today I bring you thoughts from a kid who loves to read. She started when she was three and has rarely been found without a book since. Now in high school, her interests vary from science to poetry to politics and she continues to read and reread in many different genres. She has a way with words herself. Today her writing is once again being published in a cool underground school newspaper with the byline the Marquis de Carabas. How does the Marquis rock the Quiz Bowl? Well, she reads (and listens to) nonfiction, of course. I love collecting random factoids. This is both for my own amusement and for the looks I get when I share them with people. Sometimes, though, it’s just as enjoyable to figure out out where the facts came from in the first place. Some of the facts come from massive books of lists and almanacs that I’ve accumulated, but the majority of them come from two places: a children’s audio magazine that my family still subscribes to, and two or three picture books that I’ve reread multiple times. The audio magazine, “Boomerang”, is chock-full of science, history, and current events, giving a broad overview of each topic. However, it goes in-depth enough so that the issue is interesting both for kids and adults, and it held my attention long enough for me to learn quite a lot. I remember listening to our very first issue, which featured a story on Tiananmen Square, and being enthralled. I didn’t understand the details of what happened or exactly what Communism was, but it piqued my interest enough for me to want to learn more about it. Some of the stories on Boomerang were about topics that I probably never would’ve researched on my own, and realizing this instilled in me a desire to learn about anything and everything. Before my family started listening to Boomerang, my mother bought me “G is for Googol” by David Schwartz. I’ve read that book and its sequel, “Q is for Quark”, so many times that I can probably list the chapters in alphabetical order. The books not only taught me about mathematical and scientific concepts that I hadn’t known about, but also allowed me to realize how good it felt to be able to learn them on my own. Knowledge-wise, the books were a great help, but the fact that they were fun to read made me hungry for more. The first science book I ever read was about space- "Voyager to the Planets", by Harry G. Allard. It had beautiful photos taken by the spacecraft on their way past the four gas giants. Coupled with the story, the book was wonderful, and I still look at it sometimes. Later, I read Seymour Simon's books on the planets, and was officially hooked. I love astronomy now, and a lot of what I know stems from the picture books I read when I was six. Even though the books were enhanced by reading I did later, the core of my knowledge- and my desire to gain more- is from the books that I loved when I was younger. Knowing that makes me smile. This month I am thrilled to turn over my column to my friend Dan Gurney, who is a master Kindergarten teacher and a great enthusiast of non-fiction for kids. Dan is a blogger at Misterkindergarten and MindfulHeart. He is the creator of Soundabet. David Schwartz, who is visiting schools in Asia, emailed me to ask if I would fill in for him this month. He thought INK readers would enjoy hearing from me, a public school kindergarten teacher with 30 years of experience. INK readers come here to learn about the second category. Here, however, I wish to discuss nonfiction that’s so bad, I’m not sure Ms. Carr would stick with only two categories. I want to talk about INK’s foulest relation, UNK. UNK, is the acronym for Uninteresting Nonsense for Kids. The first thing you need to know about UNK is that he is crowding INK right out of my kindergarten day. I searched the INK website to see if anyone had already blogged about UNK and was surprised to see that so far he’s escaped notice. UNK, of course, doesn’t saunter onto websites or into classrooms using his real name. He’s got an alias: DIBELS. Let me introduce you to UNK, I mean, DIBELS. DIBELS—a reading assessment system in widespread use across America—is making learning to read more stressful and less meaningful. It is changing the kindergarten language arts curriculum for the worse. And it’s stealing untold hours that could otherwise have been spent reading interesting nonfiction. the ability to quickly decode nonsense words. Students who are classified as “Intensive” undergo “Progress Monitoring,” DIBELS-speak for on-going, preferably weekly, DIBELS testing. DIBELS scores are uploaded to a national computer which generates individual student charts and saves the scores to an enormous and growing national database. If the DIBELS computer deems any student’s progress to be inadequate, the computer will prompt the teacher to apply new instructional activities. Scrutiny like this might have been just the ticket for banks and investment firms on Wall Street. But for kindergarten classrooms? Not that I’m against nonsense. When nonsense is used to lighten us up, to help us take ourselves less seriously, I’m all for it. But DIBELS nonsense has a different purpose: to sort and classify kindergarten students into high and low achievers, to record that information in a nationwide database, and to urge teachers to apply instructional strategies to see that low achievers get higher scores. Serious nonsense. On this test, kindergarten students are expected to demonstrate fluency in reading consonant-vowel-consonant nonsense words like “sim” “lut” “vaj” and “cun.” Student progress is thus measured. Sadly, some of UNK’s “nonsense” words are actual words. “Wan” is one example. If a precocious, imaginative, or curious student should pause to ask her examiner why a real word is inserted among the nonsense words, her fluency score would plummet. Slipping in almost unseen is an important premise of DIBELS: that utter nonsense is appropriate for five year-old children in their first year of formal education. When I began teaching in the 1970s, a kindergarten teacher’s job was to teach manners, develop social skills, generate generosity, and, yes, to ignite imaginations. We read books—interesting nonfiction books—to inform, to entertain, and to inspire sustained investigation. If we were feeling ambitious, and we thought the kids were ready, we might introduce the ABCs at a leisurely one-letter-per-week pace. Kindergarten teachers liked to think more about how to get schools ready for children than how to get children ready for school. Back then, we educators waited, patiently, wisely, compassionately, until late in second grade before we expected students to master letter sounds. It never occurred to me that someday I would be told to teach very, very young children—many with lagging listening and speaking skills—to read nonsense quickly. The great English Arts and Crafts philosopher William Morris said, “… have nothing in your houses which you do not know to be useful or believe to be beautiful.” And this became the credo for the Arts and Crafts Movement which spread to this country from England beginning roughly in 1860 and lasting until the 1920’s. When I first began collecting green matte pottery nine years ago, I was only vaguely familiar with the Arts and Crafts Movement and knew even less about Art Pottery. I fell into it purely by accident. One summer I was languishing at home in St. Louis, with no idea whatsoever for a new book, and my daughter, Lynne, came home from Brooklyn to visit. She’d cut out an article from Martha Stewart’s Living Magazine featuring a line of mass produced pottery from the 40’s and 50’s, manufactured by McCoy, a company founded in 1899 in Zanesville Ohio. Martha was touting it; thus prices in New York City and the Hamptons were high ($100 or more for a single vase). Lynne thought it would be fun to display these colorful objects on shelves in her new kitchen. So we went scouring for McCoy on Cherokee Street, in Kirkwood, and at a few vast antique malls, mostly filled with castoff lamps, knickknacks, and clothing. By the time her husband Eric arrived for the weekend, her old bedroom was overflowing with about sixty McCoy vases in various pastel shades of blues, pinks, greens and blues. They had averaged about $10 a piece. Assigned to lug them back to Brooklyn, Eric was as enthused about this instant collection as was my husband, Ronnie, when eventually a mass of green matte pots started piling up around our house. Shall I mention that my friends rolled their eyes at my new hobby? But I needed something to scavenger with my daughter. I needed something to distract me from my writing lull. I discovered my first green matte pot on a foray to Cherokee Street, where a small green Rookwood bowl jumped out at me. The flat, smooth texture, the curvy shape, and the deep green color were soothing, so appealing on a deep and satisfying level that I had to buy it. In terms of contemporary art, I’ve always been drawn to minimalism, the sculpture of Donald Judd or the paintings of Ellsworth Kelly. These simple clay vessels in monochromatic colors, unembellished surfaces, and geometric designs fit right into my aesthetic. Later I discovered that Ellsworth Kelly and his partner, Jack Shear, also collect green matte pottery and the artist Jasper Johns has a collection of turn of the century ceramics by George Ohr, the mad potter of Biloxi. Like any infatuation, my love affair with green matte pottery was intense but short lived. Eventually I was back to writing a new book, and my assortment of pots was relegated to shelves in my study, where I still enjoy looking at them now and then when I need a break. I'm just going to put it right out there. I’m excited. 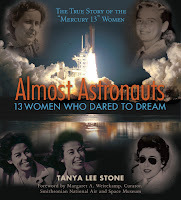 Next Tuesday, Feb. 24, my new book Almost Astronauts: 13 Women Who Dared to Dream (Candlewick) comes out. This story has been a total labor of love for me, going back about five years. In Almost Astronauts, I tell the little-known story of 13 incredible women who were the first to push against the "no girls allowed" boundary of the space program. There are feisty females, feats of bravery, and American heroes behaving badly. I want to shout about it from the rooftops. Literally. If I wasn't afraid of slipping down the icy shingles, I just might. Now some may hear that and think it's simply author BSP. But it isn't. What it is is a rush of adrenalin, a sigh of relief, and a burst of joy all rolled into one. Launch day is the one day I allow myself to revel in product over process after putting process over product most every other day. And now back to our regularly scheduled programming. Because as exciting as it is to hold that finished product in my hands, ultimately it's the thrill of discovery that keeps me at my desk (or at the library, in the field, etc...). And I am not alone. I've been talking to kids about their favorite books and guess what? Most of them pick a NONFICTION book as their favorite. When I ask them why, they say they love caterpillars or trucks or Amelia Earhart or ancient Egypt and they want to know EVERYTHING about them. I know exactly how they feel. Just this morning, I looked around a room at small hands clutching favorite books and saw many names of author friends adorning those covers. How lucky are we who write nonfiction that it's actually our job to choose something we want to learn everything about and then be able to go spend countless hours doing just that? And if we're really lucky, we get to share what we learn in a way that can cause a child to clutch that book and revel in his/her own excitement. So, like I said, I’m excited. Excited about nonfiction; about process; and yes, today, about product, too. Next week around February 24th is the easiest time to view Comet Lulin, visible with binoculars if conditions permit. For more details and to download a printable comet finder chart, visit this Sky and Telescope page. Go to a Star Party! From Earth to the Universe has an image gallery of the Solar System, stars, nebulae, the galaxies and beyond. 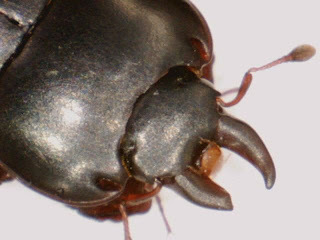 Look under For Visitors, then Tour the Images. The page of thumbnails takes a while to load, but it’s worth it. Click on EN (English), FR (French) or SP (Spanish) to see a larger view with caption. Here are links such as Sun-Earth Day vodcasts to celebrate the Spring Equinox; “Are We Alone?” podcasts; a MicroObservatory with robotic telescopes that you can control; and much more. This fictional journal gives a glimpse into the real life of Galileo, who worked diligently to improve the telescope and realized the Earth must revolve around the Sun. 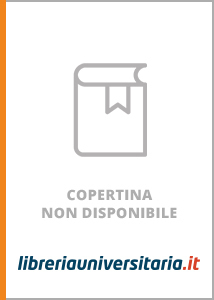 The Galileo Project is a comprehensive online guide to his life and work. A biography of America's first woman astronomer, who was born in 1818 on Nantucket, discovered a comet, and became a professor at Vassar. 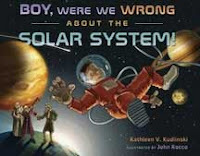 A humorous look at past mistaken ideas about the solar system and how they were disproven by advances in science and technology. 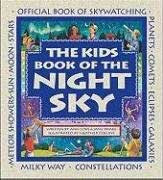 A compendium of facts, myths, legends, jokes, and activities throughout the year for young sky watchers. A tour of the universe with constellations, sky maps, and authentic space photos plus a running glossary, star wheel guide and stickers. 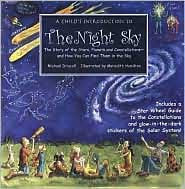 Aims to help readers learn about the wonders of the night sky as well as the problem of light pollution. The International Dark-Sky Association, which seeks to preserve and protect the nighttime environment, has a page with links for students and teachers. Over on my website, I'm compiling book selections for my favorite baby gift: the BOOK BASKET. That got me wondering - are there any nonfiction books for toddlers? We have to start them early, right? 1) One can never have enough books. 2) Everyone in the family can enjoy the present, especially since the baby present is to celebrate the creation/union of a family. 3) Many books will last forever, to be past down to the next generation. 4) If a family starts reading to baby early, it will become an important part of that child's life; for example, reading books before bedtime. 5) I love to give a sampling of: books my family loves, classic children's books, books that can be read by a sibling, interactive books, and books that can be drooled, chewed, and whatever-ed on. I bought extra copies of my children's favorite books for their baby memory boxes to be past down to their children. Funny book about how we get around. Comparison of truck opposites is a great way to learn about trucks: shapes, colors, and purpose. This Is My Bear, This Is My Ball and This Is My Book are other titles in the series. All titles are also published in Spanish. One of the newer titles in Chronicle's Mini Masters Series, these books are the perfect introduction to art for babies and toddlers. All the famous masterpieces of the world invite fun exploration of colors, details, actions, and words either between parent and child or just the child alone. Fun exploration ABC book about the library. What better way to start a lifelong love of books. If I'm missing one of your favorite nonfiction books for toddlers, please share "with the rest of the class" in the comments. Writing non-fiction has made me a lover of bibliographies. When I pick up a history book, I skip directly to the bibliography. It's a great gauge of the seriousness of the author; a threadbare bibliography is something of a red flag. My eye jumps immediately to primary sources – another measure of the books authenticity – but also for the joy of learning about sources I never knew existed. Secondary references are fun, too, and a useful research tool if I'm tackling a similar subject in my own work. Comparing bibliographies of several books devoted to the same subject will reveal the most esteemed sources and give hints of generally accepted historical "truth"
Sometimes bibliographies contain odds and ends of informantion that fall outside the demands of the larger manuscript, but are too compelling for the author to leave out. Heck. there have been bibliographies I've enjoyed more than the book they served. Back in the day, nonfiction had much more of a Life Magazine book series look—straight text and photos. Some people still refer to children’s photographic nonfiction as “a photo essay.” Trade houses would publish a fair amount of these and expect them to do fine. Usually, a publisher would publish a few nonfiction titles per year--most of them books about a specific topic—Dogs!, Adolph Hitler!, The Cuban Missile Crisis!—often they’d take a chronological approach, use a generic-sounding title. Of course there were always the mavericks--like Russell Freedman and Jean Fritz--but the general tone was a bit unadventurous. Fast forward to nowadays, when so many exciting, innovative books are coming out every season. Commercial is the “insider” buzzword of the day, and it means lots of different things at once. When I explain that a book idea is or isn’t commercial to an author, sometimes I get a confused look. The label “commercial” had me wondering too. Eventually I came up with my own definition: A book is commercial if it’s so appealing in some particular way that you want to buy ten copies and ten people spring immediately to mind that would love it. The book doesn’t have to appeal to everyone. How can it? It doesn’t have to be flashy. A few examples: The Dangerous Book for Boys, 101 Things to do Before You Die, The 39 Apartments of Ludwig Van Beethoven, See How They Run: Campaign Dreams, Election Schemes, and the Race to the White House. So the obvious question is: How can I make my nonfiction commercial? 1. Humor is not for every book, but it sure helps—try a humorous voice or a funny illustrator. Humor makes a book feel LESS like a homework assignment and more like fun. This can apply both to picture books and longer nonfiction. Kids love nonfiction naturally, but we teach them to be afraid of it. 2. 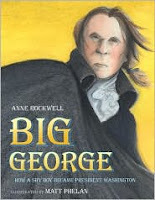 Picture book biographies have to sparkle! One way to do that is to narrow it down. Just because you love some amazing person’s life story doesn’t mean kids are going to want to know everything about them, including where they were born and what kind of diapers they wore. Pick a subject, and isolate an event in their life that you can highlight gorgeously in a picture book text. One example, When Marian Sang by Pam Munoz Ryan and Brian Selznick. 3. Get a little bit edgy: That’s what the rest of the world is doing, so why not nonfiction? Some children’s nonfiction has been pushing the envelope for decades. So don’t be afraid to get obscure, or super specific, or down and dirty when writing for kids. A good storyteller can bring any good story to life, so pick something YOU would have loved to read about. Of course, if some important historical figure is having a huge birthday—that’s never a bad topic, either! P.S. Something to realize about nonfiction: Publishing nonfiction is what we editors call “labor intensive”—and not just for the author. This doesn’t mean we shouldn’t do it, but it takes a lot of people at a publisher to work on one detailed nonfiction book. Maybe five times as much work as a novel or a picture book. Think about it. Fact-checking, design (this part is huge), photo research, illustration research, illustration proofreading, fees, permissions, source notes, index, front matter, back matter. Often, a freelance designer is needed because large-scale nonfiction takes up so much of a designer’s time. So authors: realize that committing to a big nonfiction book is like deciding to have a baby. You never have any idea how much work it’s going to be until you are there doing it. And even though you love it, it takes a lot out of everyone—most of all, you! And like a baby, it’s always worth it in the end, but not often a great plan for getting rich. Writing non-fiction has made me a lover of bibliographies. Sometimes, I'll pick up a book, skip directly to the bibliography. And it's not just to verify the bone fidis of the author, although a threadbare bibliography is something of a red flag. From them I learn about primary sources I never knew existed. The best bibliographies are also repositories of unique stories, ones apart from formal manuscript, ones that couldn't be shoehorned yet compelling enough so that the author couldn't bear not to share it. Continuing our series highlighting some of our best posts from our blog beginnings we bring you a post from Bob Raczka entitled, "What Does Advertising Have To Do With Art?" As part of our anniversary celebration we'd like to rerun some of our earliest posts from last year. Jennifer Armstrong led us off in February 2007 with this post entitled, "Reading Between the Lines"
A large part of what I do while researching historical documents or images is read between the lines, or draw logical inferences. Making historical information feel immediate and alive to readers means feeling my way into the material. 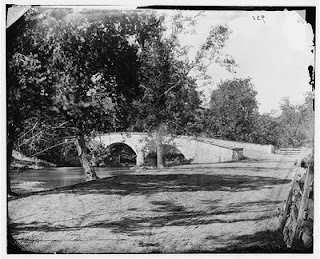 This photograph from the Library of Congress website collection of Civil War photographs provides a good illustration. (Some details may be hard to see on your screen, so just bear with me. ) At first glance this photograph seems rather mute. Most kids seldom look at black and white images, and this picture might say nothing to a contemporary student. But with a little practice we can infer a great deal about the circumstances of this photograph, and paint a more colorful picture. We can infer, to begin with, that the time of year is not winter -- we see leaves on the trees. Okay. Can we pin it down further? Yes, I think so. You notice how dusty the road looks -- the wheel tracks are deep but dry. I don't think it has rained for several weeks. This suggests late summer, right? And the shadows are crisp and sharp, so it's a bright sunny day, and probably hot. All at once I can bring all of my experience of "hot bright late summer day" to this photograph, and I can hear the cicadas buzzing in the trees, and see the swallows swooping for mosquitoes over the creek, and smell the damp stones in the arches of the bridge. I don't need direct, documentary evidence of the cicadas or the mosquitoes or the swallows; indirect evidence abounds. In doing historical research the writer (of fiction as well as nonfiction) can safely extrapolate a great deal from available evidence. After school is out this June, my wife (and co-author) Robin and I, along with our 10-year-old son, are planning to travel for a year, mostly in a VW camper we recently acquired. This is a trip we've been planning for a long time. It began as a sort of escapist fantasy, then, after our two oldest kids left home for college, it began to seem increasingly feasible. We've now told enough people about the trip that I think we'd have to leave town even if we no longer wanted to — I'd hate to have to keep explaining that we had decided to stick around after all. What does this have to do with a nonfiction writers' blog? A couple of things. The trip presents an opportunity to create some sort of record (a book? ), perhaps exploring the same experience or place or encounter from three different perspectives. With that in mind, we'll try to make lots of notes and photos and sketches — book fodder. Another, more pressing concern (still tangentially related to I.N.K) is the home-schooling component of the trip. Robin and I have settled, for the moment, on a kind of free-form curriculum. At its core is lots of reading — books of Jamie's choice, which will be mostly fiction, and books we add to the mix, including non-fiction relevant to the places we are visiting. Also writing, every day if possible. Stories, probably a journal, perhaps descriptions of things or places or experiences. Math might involve a worksheet or two, but it would be nice to make it part of the trip: calculating average speed, estimating the amount of water in a reservoir, etc. The science, history, social studies, and other traditionally defined 6th grade subjects can, we think, be almost seamlessly integrated into the our travel: the architecture we see, the museums we visit, the things we look at under the digital microscope I bought. (Check this out if you haven't seen one of these: http://www.bodelin.com/proscopehr/). Compared to the hard-to-look-through and difficult-to-focus optical microscopes of my childhood, this thing is a wonder, and a great science tool for kids. Just get comfortable with the idea of seeing your skin imperfections or nose hairs enlarged to the size of a computer monitor. The microscope has a USB connection and takes still images and movies. 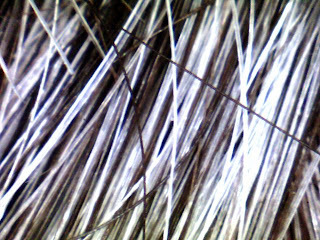 Here are a couple of pictures Jamie took with ours (my hair, a beetle). You may have noticed that this blog is not all that informational. It's not one of the many concise, articulate and thoroughly educational book reviews or essays that most I.N.K. writers tend to post and, I assume, work pretty hard on. Unless it comes more easily for them, which I have to admit is a possibility. This blog isn't especially informational because I want you, the reader, to work for me. Seriously, I'm guessing lots of you have great ideas and information about home-schooling — or, in this case, road-schooling. Or books we should take along. Or ideas about helping a child with a year's worth of reading and writing. So, if you don't mind, let me know what you think. Feel free to be critical of our educational plans. And if you have links or other resources shoot them over. If I get good stuff, I'll share it with everyone in a future blog. ...about many of the 2008 titles that just snagged ALA awards. In particular, Kelly Fineman totally called it—a whole year ago—for We Are the Ship, the Kadir Nelson landmark that was awarded the most honors, including the Sibert Medal for Best Informational Book of the Year. And now for three new biographies with wildly divergent approaches. “Gertrude is having fun and you’re invited. 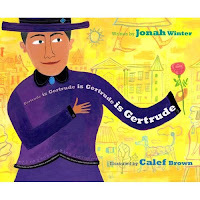 Don’t be late,” urges what may be the first children’s book to portray the author of “Rose is a rose is a rose is a rose.” Gertrude is Gertrude is Gertrude is Gertrude, by Jonah Winter, is a weird word portrait of Gertrude Stein, her partner Alice B. Toklas, and fortunate friends who happen to be famous--Picasso, Matisse, Hemingway. Like the works of the eccentric writer herself, the minimalist text is nonlinear, playful, sometimes downright nonsensical. Calef Brown contributes Maira Kalman-esque paintings that increase the sensation of being at the most fabulous party ever (Atheneum, ages 4-8). 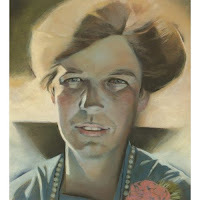 Just look at the breathtaking front cover--all art, no type-- of Eleanor, Quiet No More: The Life of Eleanor Roosevelt, the play of light on ER's face and hair. Gary Kelley’s luminous paintings, on the cover and throughout, reveal a woman you wish you could get to know. Author Doreen Rappaport, in another one of her distinguished books, provides the next best thing-- this accessible, inspirational life story. Each page is punctuated with a pithy ER quote revealing the powerful arc of how she grew from a girl too scared to speak ("I wanted to sink through the floor in shame") to the most outspoken women of her day, proclaiming, "Government has a responsibility to defend the weak" (Hyperion, ages 9-12). 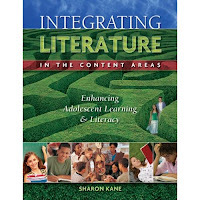 Finally, who wouldn’t love a book with this sentence: “If I were an administrator or literacy coach in a middle school, I would encourage my faculty to conduct a school-wide author study of [insert your name here].” Well, Sharon Kane kindly inserted my name into her Integrating Literature in the Content Areas: Enhancing Adolescent Learning and Literacy, but never fear, she mentions plenty of other authors. Her book is packed with 300+ pages of tips for getting literature into the classroom—fiction, poetry, and (saints be praised) “The Why and How of Using Informational Trade Books,” whole chapters on incorporating biographies, how-to books, etc. An amazing resource (Holcomb Hathway, for teachers). I do all the photo research for my books, and there’s nothing I love more than visiting the Library of Congress or a museum or historical society to plumb the depths of their photo files. But when I start a project and again when I’m nearing the end, I often find that my most valuable photo research tool is eBay. If I’m lucky, I can locate artifacts and photographs on eBay that add an extra air of authenticity to my books, usually at a price that’s hard to beat. These items also help me touch the past by literally holding it in my hand. For example, last fall we were working on the final pages for Bylines, my photobiography of Nellie Bly (due out from National Geographic in Fall 2009). The section about Nellie’s years in business, as president and owner of the Iron Clad Manufacturing Company and the American Steel Barrel Company, needed an additional visual element. On a whim, at midnight on a Saturday night, I searched eBay and found an original ad from 1906 for the American Steel Barrel Company’s "Iron Clad" barrels. Before you could say “Live From New York,” I’d engaged the “Buy It Now” option and paid for it with PayPal. It arrived within a week. Similarly, when I was writing Freeze Frame, my history of the Winter Olympics, I was having trouble finding any visual from the Olympics That Never Were, the 1976 Denver Games. The city of Denver had won the bid to host the 12th Winter Olympics, but had to withdraw in 1972 due to a referendum by local citizens who were afraid of the effect the crowds and traffic would have on the environment. Although there were a few photos available of citizens voting against the Games, they weren’t very interesting. So I checked eBay—and found one of the few souvenirs minted before the withdrawal, a commemorative pin. • A German postage stamp from the 1936 Winter Games. • A book and a comic book featuring TV’s Annie Oakley, actress Gail Davis (for Bull's-Eye, my book on Annie). • A complete Round the World With Nellie Bly boardgame, manufactured in 1890 by McLoughlin Bros. (with spinners and other pieces). • Tickets to various past editions of the Summer and Winter Olympic Games. • First day covers of the 2002 Nellie Bly “Women in Journalism” U.S. postage stamp. Thanks to eBay, I've got my own growing collection of ephemera related to the topics of my books. Besides being fun to own, those items come in handy when I do school visits and other presentations about the books. Has anyone successfully used any of the other auction sites in Cyberspace to find similar items of interest? I'm always open to new sources! Scientists in Colombia have been very busy. One group has recently identified 10 new species of living amphibians, nine kinds of frogs plus one type of salamander, and another group has discovered the skeletal remains of a ginormous snake, so large that it could easily have swallowed something as large as a cow. The snake, Titanoboa cerrejonensis was between 42 and 45 feet long, and weighed more than a ton. 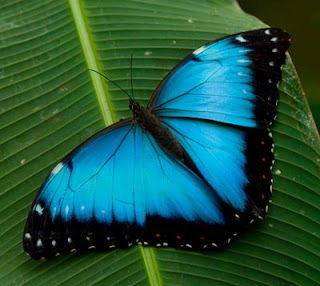 The scientists making news today for their discoveries of species in South America (both living and extinct) are following in the shoes of Charles Darwin, who is featured in a number of children's books this year because 2009 marks the 200th anniversary of his birth in 1809. Back on January 19th, Kathleen Krull talked about One Beetle Too Many: The Extraordinary Adventures of Charles Darwin by Kathryn Lasky, illustrated by Matthew Trueman. 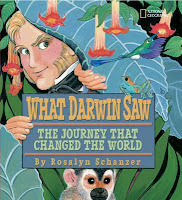 Later this month, author/illustrator Rosalyn Schanzer will be posting here at I.N.K., and I can only hope she'll be talking about her new book, What Darwin Saw: The Journey That Changed the World, which incorporates information from Darwin's journals. 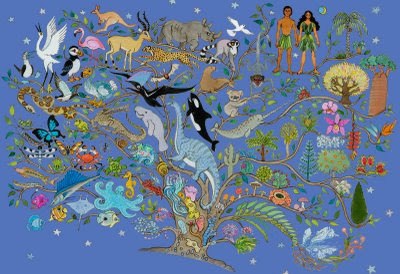 But today, I'm talking about Animals Charles Darwin Saw: An Around-the-World Adventure by Sandra Markle, illustrated by Zina Saunders. The book provides a full biography of Charles Darwin's life, with particular focus on his travels and collecting activities while traveling aboard the Beagle, and with his development of what has become known as the theory of evolution (which did not, incidentally, include any reference whatsoever to the evolution of humans). Each two-page spread contains amazing images, a decent chunk of text, and a text box that includes an interesting detail or bit of trivia. The book explains what Darwin studied, how he got interested in science, and what his duties aboard the Beagle entailed. When he was in South America, he discovered ancient skeletons of extinct species, which caused him to question what he'd been taught: that animals were created as is, and always had been that way. Later, in the Galapagos Islands, he noted similarities and differences in species of birds, lizards, and tortoises living on various islands. He eventually concluded that the various species had adapted to suit their specific habitat, thereby laying the foundation for his later theories. The book includes useful tools including a note to parents and teachers, a table of contents, a map of the Beagle's voyage, a glossary, a list of additional resources, and a handy dandy index. In short, it's a teacher's dream, and makes using the book as a source super-easy. Every good teacher knows that a teachable moment is when you’ve got a student’s undivided attention. Since an injury or an illness certainly gets a kid’s attention, why not use such a moment to learn a thing or two about the workings of the human body? That’s the premise for my new Body Battles series (March 2009). Usually, kids learn about the body systemically—the digestive system, the circulatory system, etc. But the drama of how the body works together to heal and restore health seemed irresistible to me and hopefully to my young readers. 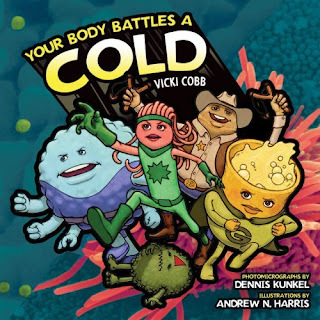 The Body Battles series began as my brainchild, but the books became a truly collaborative project including the amazing images of Hawaiian microscopist Dennis Kunkel and the amusing characterizations of cells by illustrator Andrew N. Harris in Idaho. With a publisher in Minnesota and an editor, Jean Reynolds, who held it all together from Connecticut as pdf attachments zoomed through cyberspace, I never had to leave my New York home. These six books, A Skinned Knee, A Broken Bone, A Cold, A Stomachache, An Earache, and A Cavity are a true product of the electronic age. One of the books, A Cold, may even make medical history. I wanted a micrograph of the rhinoviruses attacking the nasal tissue, which causes a cold. None existed. I asked the doctor I was consulting, Dr. Birgit Winther of the University of Virginia, if she could work with Dennis to make one. She grew the cells in tissue culture, inoculated them with the virus, killed the tissue (without destroying the cells) at the proper moment and shipped the specimen to Dennis. Dennis processed it and prepared it for viewing. Then he had to spend hours at the electron microscope, scanning the slides to see if they got the images. Now you can see them as well in the book! 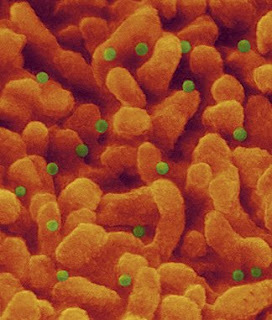 In this image, the orange, finger-like projections are the microvilli on the surface of the nasal epithelial cells. They increase the surface area to filter the air. The round green things are the infecting rhinoviruses. It tickles me that so much scientific creativity went into fulfilling a request by a children’s book author who wanted to catch the viral villains in the act of doing their dirty deed. Copyright Dennis Kunkel Microscopy, Inc. Borrowing the clever format used by Laura Purdie Salas and Fiona Bayrock over at Bubble Stampede!, Susan Goodman and I have decided to chat about Kids Heart Authors, a New England-wide book signing event on February 14, 2009. We will both be at the The Blue Bunny in Deadham, Massachusetts. Masterminded by fabulous multicultural author Mitali Perkins with a whole lot of help from independent publicist Deborah Sloan, Kids Heart Authors is a celebration of children's books, independent booksellers, authors and, of course, our young readers. Melissa: I think Valentine's Day is a great time to have a book signing, especially since it falls on a weekend this year. I love what I do. Writing books for kids is the best job I can imagine. And I've met plenty of kids who say they love my books. But I also love the independent booksellers in the Boston area. My trade books are published by small publishers, so the large chains don't always give them a chance. But Porter Square Books in Cambridge, MA, The Wellesley Booksmith in Wellesley, MA, and The Concord Bookshop in Concord, MA, have all been very supportive. They know the books in their stores, and they take the time to know their customers. That allows them to be matchmakers, pointing each child toward the perfect book. Susan: Thanks for thinking up this great idea Melissa. I second everything you've said so far. All writers should support the independents in return--as authors and as customers. I think nonfiction writers for kids also owe a special debt to the independents, who proportionally stock more nonfiction than the chains--and sometimes even in terms of just plain numbers! I hope that the bookstores benefit by it. I know we authors do. And kids do too, especially the ones who like to gobble up information as much as stories. How many parents and teachers have heard, "I don't like to read," from a child, only to later learn that what he or she really means is, "I want to read about something," i.e., a nonfiction subject of interest. Melissa: You're right, Susan. In fact, studies have shown that having a rich supply nonfiction available for students in grades 3 to 5 significantly increases the likelihood that children will become life-long readers. Of course, many students prefer fiction, and some like both. That's why I'm so glad that this Kids Heart Author event includes a wide selection of fiction and nonfiction titles. There will be 115 authors and illustrators signing books at 40 independent booksellers across New England. Another great thing about an event like this is that authors and illustrators get to meet each other and see old friends. Most of us spend our days working alone in our home offices. Susan: Absolutely--it's nice to get out of the house and have a reason to also get out of sweat pants or pjs. Not to underestimate the effort it took to come up with promotional materials and team up so many bookstores and authors but, thanks to the Internet, this event came together so quickly. And, it got a fair amount of attention as it was picked up by blogs and newsletters. It raises the question: What else can we authors and independent booksellers do to help ourselves? What kind of events and/or attractions can we come up with besides traditional signings that will attract an audience of readers? Anybody out there have any ideas? This week we celebrate our one-year blogaversary! Presents are nice, of course, but what we’d really like are your constructive comments. Please leave a comment this week telling us what you like, what you’d like to see more of, how often you read the blog and how you use it. In our second year, we’d like to push our boundaries even further. Our main objective is to foster more discussion. We will try to add more diversity to the voices you read here and hope that you, our readers, will join in. To this end, if you are a teacher, homeschooler, librarian, editor, parent, etc. who might be interested in writing a guest blog please send me an email at the address listed in the sidebar. We won’t make any promises but we’re open to hearing from people from all corners of the nonfiction for kids community. I want to thank all of our I.N.K. bloggers for a fascinating year of blogging. I’ve had a sneak peek at February and March and I can say confidently that there are many more interesting things to come. Stay tuned.